Raymond A. 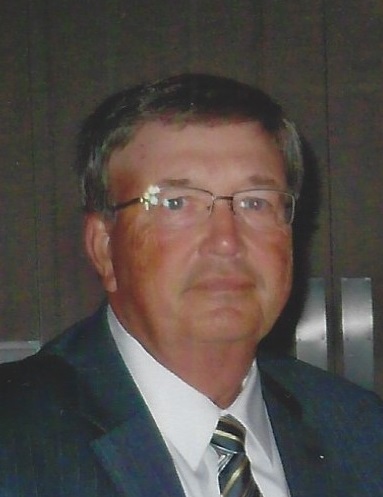 "Ray" York, 74, of Carmi, passed away at 11:08 a.m., Monday, March 25, 2019 at his residence. He was born in McLeansboro, IL on January 29, 1945 the son of Adrian and Wilma (Turner) York. Ray married Janis Kay Michels on June 30, 1973. He served in the United States Army reaching the rank of Staff Sergeant. Ray served during the Vietnam War and was awarded the Bronze Star, Oak Leaf Cluster and Meritorious Service Award. He was a member of the Ridge Baptist Church in Grayville, IL, where he was a deacon and taught Sunday School. Ray enjoyed fishing, hunting and watching the Baltimore Orioles. Ray was an avid reader, but his favorite activity was spending time with his grandchildren. Ray began his teaching career at Mill Shoals, teaching for two years prior to entering the Army in 1968. Upon his discharge in 1970 Ray returned to teaching for one year at Mill Shoals. He then began teaching at Washington School in Carmi, where he taught social studies for thirty years. While at Washington School, Ray coached basketball, baseball, and track, in addition to coaching many Little League teams in Carmi. Ray is survived by his wife of 45 years, Jan; two sons, Brooks (Anna) York, of Carmi and Brent (Katie) York, of Mt. Vernon, IN; four grandchildren, Cal and Laney York and Boone and Barrett York; mother-in-law, Betty Michels, of Grayville; sister-in-law, Lana (Stan) Coleman, of Newark, OH; and close friends, John (Kathy) Metcalf, of McLeansboro and Margaret Hughes, of Symsonia, KY. He was preceded in death by his parents, Adrian and Wilma York. Funeral service for Raymond A. "Ray" York, 74, of Carmi, will be held at 10:00 a.m., Friday, March 29, 2019 at Campbell Funeral Home in Carmi with Pastor Don Mobley officiating. Burial will be in McIntosh Cemetery in Enfield with military rites by the Carmi VFW and the American Legion. Visitation will be held from 4:00 p.m. until 8:00 p.m., Thursday, March 28, 2019 at Campbell Funeral Home. In lieu of flowers, memorial contributions may be made in Ray's memory to the Ray York Memorial Scholarship and will be accepted at Campbell Funeral Home.